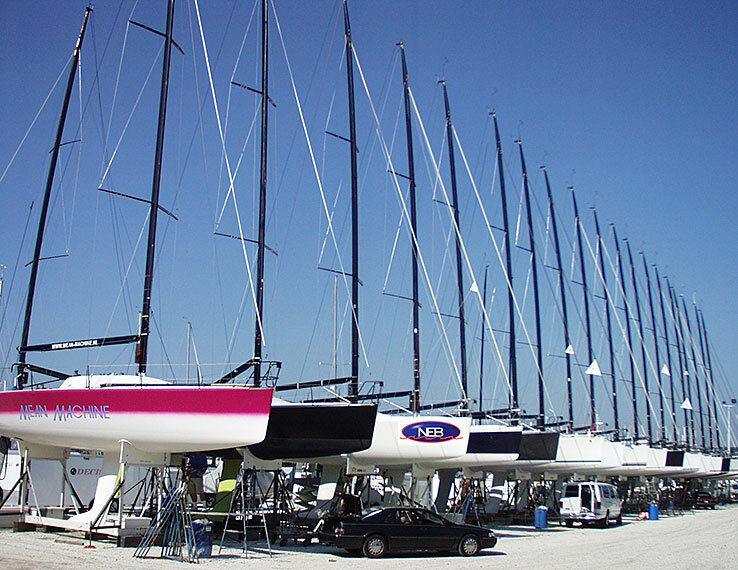 Another sailing World Championship Regatta is coming to New England waters this summer. The Farr 40 Class Association announced that NEB has been named the Title Sponsor of a two day Pre-Worlds Regatta to be held on Narragansett Bay. This warm-up event for Farr 40’s from around the world will be followed by the Rolex Farr 40 World Championship in Newport August 27-30. New England Boatworks, well known as a hub of yacht racing activity will be busy again this summer as Farr 40’s arrive early for local racing and race prep leading up to the World’s in late August.